The rich elegance of enlightened civilizations is yours with this distinctive collection. 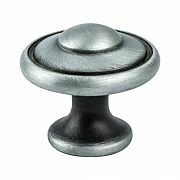 Reflecting the symmetry and balance of honored design principles, Euro Traditional features this knob that will add a formal quality to traditional and transitional cabinetry and furniture styles. Note: This product is also known as 29241BAPP, BQ29241BAPP on other websites.